Dr. Walcott was born in beautiful Barbados, West Indies, where he happily spent his entire childhood and young adult life. His professional education began at the Howard University College of Dentistry, in Washington D.C., where he received his Doctorate in Dental Surgery (D.D.S.). 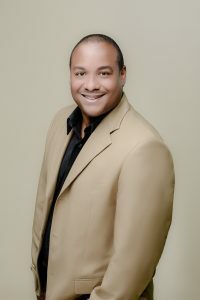 Graduating in the top 5% of his class, Dr. Walcott decided to specialize, and was accepted into the prestigious Oral and Maxillofacial Surgery training program at Howard Hospital. Following completion of the rigorous four-year program, Dr. Walcott moved to Baltimore, Maryland, where he entered private practice, and maintained surgical privileges at the world renowned Johns Hopkins Hospital. Dr. Walcott moved with his wife Diana and their three children to central Florida in 2003, where he has practiced oral surgery. The Tampa Bay Institute of Oral Surgery and Dental Implants is extremely honored to have him establish his new practice in our Lakeland, Florida office.